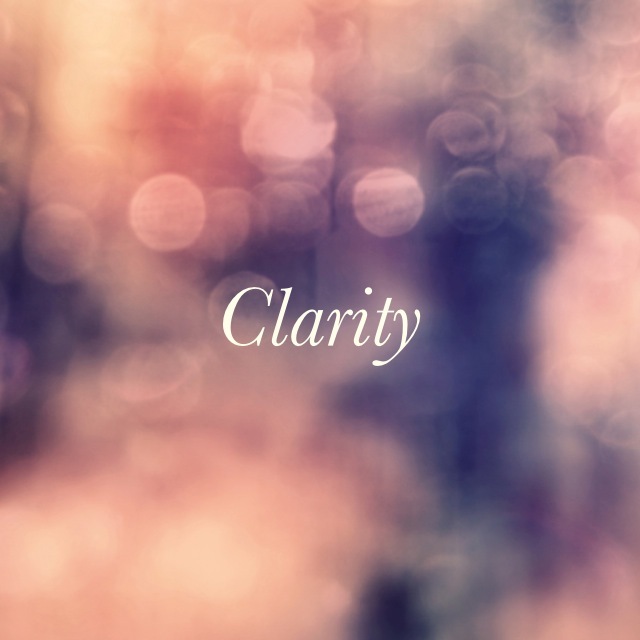 I have spent this week looking for clarity. I have had some very useful conversations with people and have been narrowing my focus in different areas to clearly define where I am going. Heck even the lesson from my poetry course this week is entitled “finding your niche”. Maybe it’s because I just had a birthday. Maybe it’s because it’s the last year I can say I’m in my thirties. Maybe it’s because we’ve finally had rain and there is a clear change of the seasons. Maybe it’s because it’s a new month, and April is as good a time as any. No matter why – all the conversations have lead me to an element of discipline. Of not letting things slide anymore. Of no longer going with the flow. There is a clear focus in all these conversations on putting structures in place to intentionally grow. I rail against structure. I feel somehow if I put structures in place then my life will be so ordered that I can’t enjoy it. Whereas in reality the opposite is true and structure is often freeing. I know that mealtimes go better during the week when I have menu planned and shopped for those meals (as well as the smaller bill at the checkout). I know that when I intentionally set aside 10-15 minutes each day by myself to reflect, that the day goes better for me and my girls. I know that when I go to bed at a reasonable hour I have more energy for the following day. Structure is a tool that aids, and not hinders. For my birthday a friend sent me this wonderful message which has been rattling about in my soul for days “I pray you breathe deeper, trust wider and live free-er!” These words, they are beautiful words, and I so want them to be true. So when I do turn 40 next year, I can look back and say that of this year. So in the interests of implementing structure and intentionally focusing on these words I am going to try something new with this blog. So once more I choose to expand my capacity. I choose discipline, and I choose intentionality, and I choose clarity. Let’s see where this goes, hey? !